Para Tocar y Cantar Con Letras - Miranda / Airbag by Miranda / Airbag. Songbook. Published by Melos Ediciones Musicales (QM.BA-13865). 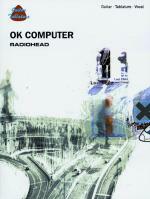 Selected around the world as one of the best albums of 1997, OK Computer features brilliant and innovative guitar work. Titles are: Airbag * Paranoid Android * Subterranean Homesick Alien * Exit Music (For a Film) * Let Down * Karma Police * Electioneering * Climbing up the Walls * No Surprises * Lucky * The Tourist. OK Computer. (Guitar/Tablature/Vocal). By Radiohead. For guitar and voice. This edition: Guitar/Tablature/Vocal. Artist/Personality; Guitar Personality; Guitar TAB. Alternative Rock, Progressive Rock and Electronica. Difficulty: medium. Guitar tablature songbook. Guitar tablature, standard notation, vocal melody, lyrics, chord names, guitar chord diagrams and guitar notation legend. 81 pages. Published by Alfred Music Publishing (AP.PGM0119). ISBN 0757991661. With guitar tablature, standard notation, vocal melody, lyrics, chord names, guitar chord diagrams and guitar notation legend. Alternative Rock, Progressive Rock and Electronica. 9x12 inches. 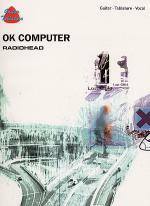 Selected around the world as one of the best albums of 1997, OK Computer features brilliant and innovative guitar work. Titles are: Airbag * Paranoid Android * Subterranean Homesick Alien * Exit Music (For a Film) * Let Down * Karma Police * Electioneering * Climbing up the Walls * No Surprises * Lucky * The Tourist. 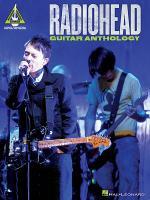 Radiohead Guitar Anthology by Radiohead. For Guitar. Guitar Recorded Version. Softcover. Guitar tablature. 232 pages. Published by Hal Leonard (HL.109303). ISBN 1476867933. With guitar tablature. 9x12 inches. Nearly 20 top tunes from Radiohead, transcribed note for note with tab: Airbag • Bodysnatchers • Creep • Go to Sleep • I Might Be Wrong • In Limbo • Just • Knives Out • Let Down • Little by Little • My Iron Lung • Optimistic • Paranoid Android • Street Spirit (Fade Out) • Subterranean Homesick Alien • There There • 2 + 2 = 5 • Weird Fishes/Arpeggi. 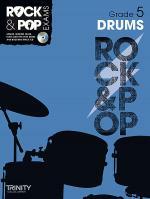 Trinity Rock & Pop Drums - Grade 5 by Trinity College London. For drums. Grade 5. Book and demo/accompaniment CD. Published by Trinity College London (TL.TCL010469). ISBN 978-0-85736-250-6. 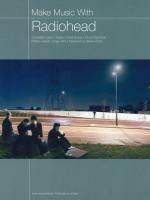 Make Music with Radiohead brings a whole host of extra features to the traditional chord songbook. All songs are arranged with complete lyrics, guitar chord boxes and symbols. Also included is an exclusive foreword by music writer Stevie Chick tracing the history of Radiohead, plus a full discography. Titles are: Airbag * Anyone Can Play Guitar * Creep * Everything in Its Right Place * Fake Plastic Trees * High & Dry * Just * Karma Police * Knives Out * Lucky * My Iron Lung * No Surprises * Optimistic * Pyramid Song * Street Spirit (Fade Out). 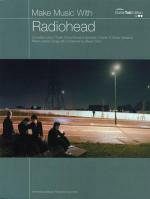 Make Music with Radiohead brings a whole host of extra features to the traditional chord songbook, making it a great value and a must for collectors and true fans of the band. 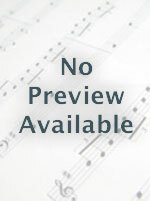 All songs are arranged with complete lyrics, guitar chord boxes, and symbols. Also included is an exclusive foreword by music writer Stevie Chick tracing the history of Radiohead, plus a full discography. Titles are: Airbag * Anyone Can Play Guitar * Creep * Everything in Its Right Place * Fake Plastic Trees * High & Dry * Just * Karma Police * Knives Out * Lucky * My Iron Lung * No Surprises * Optimistic * Pyramid Song * Street Spirit (Fade Out).